Usually, I got with @Eldhose for such camps, but this time he was unavailable. 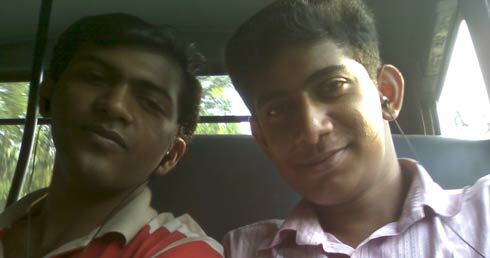 So after some calls and tweets, I decided to go via a Trivandrum Bus from Kothamangalam, with my friend Vineeth Wilson. I set out at 5.30 in the morning hoping to catch a Transport bus to Kothamangalam; I got none. Long story short. 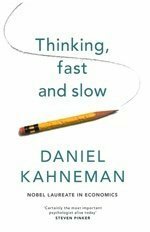 at 7.30 am I was standing in the Kothamangalam bus stand and looking for a bus. I would have reached the college in that time if I had chosen to drive. Boarded a Trivandrum bus from Muvattupuzha and on the way I did some last minute prep for my demo. Thankfully, the event hadn’t started when we reached there at about 10.15 am. @KenneyJacob greeted us and I got into the dark seminar hall of MACFAST. I met the usual gang of early birdies, @Praseed3point14, @BinnyVA and the rest. 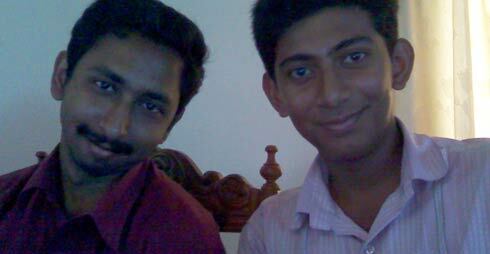 It was good to see @AravindJose once again, he wasn’t at any of the recent BarCamps or other ones. I found a seat on the side row near @BinnyVA. It was fun to have some off topic chats; I have always enjoyed Binny’s company. I was soon given the duty of handling @BarCampKerala; @AravindJose who used to handle this, took up the duty as a photographer. @AravindJose and @Zeqox were the photographers for the event. The sessions started, I barely listened to anything this time. I was more into Tweeting and uploading pics. Also had fun taking some shots with Aravinds camera, I am not used to the view-finder, I should get used to it soon. First Session was by @deepakp7 about Statistical Machine Translation. My involvement in the session was limited to distributing a handout he had brought. Folks from Artin Dynamics demonstrated their product Spara, which I understand is a energy conservation product that studies power usage of a system, analyses it and shuts down power whenever necessary, there by saving power. The presenter Deepa Eshwar was good looking and enthusiastic, but the presentation as such was incomplete. They didn’t even have a single photo of the product. They could have included some shots or even could have shown us a demo. Ranjith Avarachan took a session about how social media enthusiasts are using social media to do community help and charity. I was busy learning Aravind’s camera so I missed most of it. Alan Haggai talked about Pearl and why he thinks its awesome. He moves his body so fast, I was following him around with Aravind’s camera trying to take one good shot of him. Most of the pics I took of him are blurred. 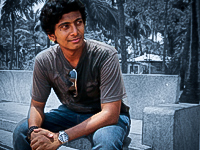 @AravindJose came up with his session: Web Penetration in Kerala – Status Report & Forecast. He showed it using a video. It was pure AWESOMATIC. I would rate it as the best part of #bck8. 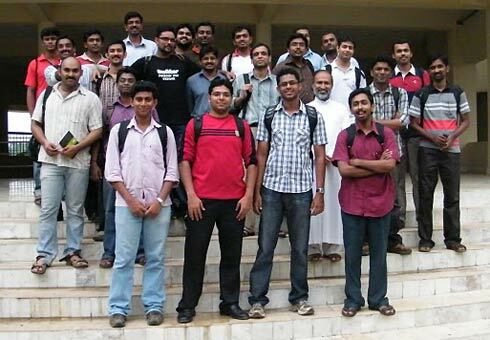 A blog he started about Kottayam City: Kottayam Pattanam – Celebrating Kottayam, is running well now. His video was very insprational, you can see it here. For the first time at a BarCamp, Lunch was FREE. The impact of lunch being arranged at the session is big it seems. Kenney (later) observed that people would stay back for the noon sessions since food was available there. Other wise many would go out to have food and leave that way. The most interactive session after lunch was Kenney’s session on Marriages. He discussed various marriage customs and traditions existing in kerala. His session ended with a slide that read “Live in relationships”, which is more likely to be the scenario soon. I was kinda feeling sleepy, then I went out with Ivan, Ranjith, Aravind and some other guys for some chit chat. In the mean while, @NijuMohan‘s session on the recent Tata Jagriti Yatra he went on, Reni Yohanan’s session on Network Securtiy and @AjithSamJohn‘s session on Social Media Recruitment passed by. Outside the hall, we talked about Paypal and how optimising for local search could bring us decent traffic. Njiu joined us after his session. Now it was my turn. Sky was getting dark, and it was about time to rain, so many left the hall. when I came up there, there were only about 20 listeners. Then I showed how to install themes and plugins. I also showed how to edit the theme, just the basics. If you like to dig deeper, here is something: Make Yourself a Unique WordPress Theme in 5 Easy Steps. I hope someone got something from my session. Arun Raj was ready with his session on Drupal to fight with WordPress, but he decided to save it for the next time since the audience head count was poor. We had tea and snacks, thanks again to the Principal Father Abraham Mulamootil. While having tea he asked me if he could learn how to edit his blog, I assured him its easy and anyone can master it if he puts in some effort. He is an enthusiastic guy with a modern outlook. VERY unlike other people of his age who thinks if a person goes online often, he is probably spoilt. Then Binny came on stage with some humour and talked about eNGO. Its basically an ad network for the non-profit organisations. All those who have adspace on personal blogs that they do not wish to monetize can join in. It will be live soon. Finally we thanked the college and the principal, said good byes, took photos and came back home. Thanks to the lift till Thirivalla Transport Bus Stand from @VipinOnline. We got a bus till kottayam easily, but coming home from there was quite hard. I reached home at 11 pm. Overall, it was an eventful day. I have attended even better BarCamps, the AWESOME-ness element was missing. Looking forward to next one. P.S I missed @TheAnand who was baby sitting @jlusujith who was down with fever (ahem :P). Photos of #bck8 are here, thanks to @AravindJose. That’s a lot of love and appreciation. Yes, BCK8 lacked a bit of punch, compared to the 5th and 6th. But it was a nice refresher, hands down. Up till now, BCK6, the one at RASET, was the best one for me. Made a lot of new contacts and the 2 awesome presentations: one by Rajesh Venugopal and the other by Manu sir. The 6th and 5th were the best till now, I must say. Also its not a fight with Drupal over WordPress . Its the awesomeness that Drupal can do over wordpress . You will feel the difference once you get in touch with it . It can be used to install and maintain not a single site. But ‘n’ numbers . For eg : millionclues and this kuttapi may need an upgrade when the newer versions are available . But for drupal we can do from a single code base . ie a single feature . But there is a lots more 🙂 . Anyway I love wordpress for its simplicity and for a blog it works . But if you are looking for more , then Drupal will play for you . See you on BCK9 , and if none is going to take Drupal I will come with it 😉 . Also Thanks to Aravind for his wonderful Video 😉 . 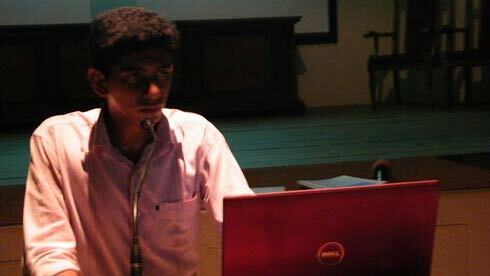 I have started working with Drupal after I heard about it at BCK7. I hear that its the best for building websites, so I gotto learn it. Hopefully, my next niche website would be in drupal. You can try ModX too . I have been hearing about ModX after I started working on Drupal 🙂 . Very nice post dude… I missed BCK this time. Anyway ‘ll make it next time.. thanks for the detaild post bhai. Nice Post dear. I missed #bck8 . Thanks for posting all the details. btw, that was Changanacherry Transport Bus Stand.